With the recent fire at 41 – 44 Murray Place, it’s worth remembering the history of this distinctive curved building, and the story of newspapers, always at the heart of the burgh. 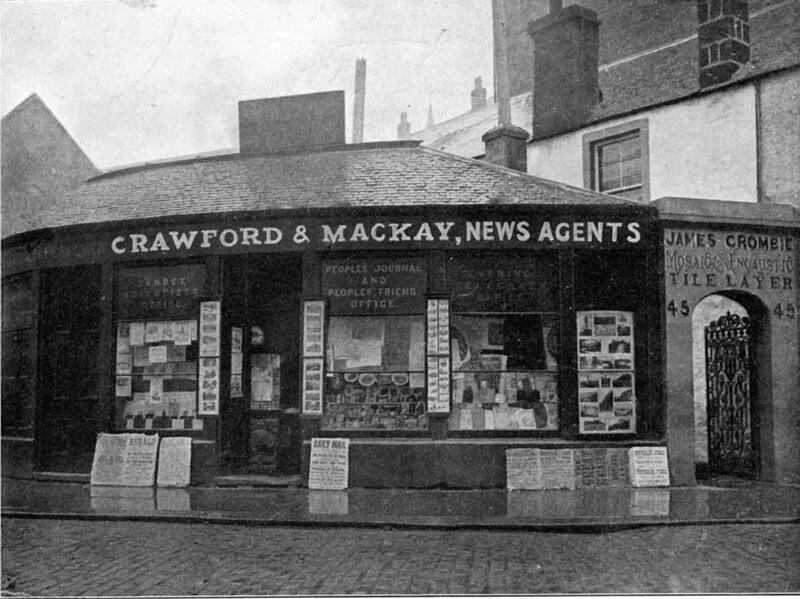 The first building on the site was the single storey newsagents shop of Crawford and Mackay. Eneas Mackay (1860 -1922) was a Gaelic speaker and scholar, who came from Inverness as a young man to work in partnership with the widow of Mr J F Crawford, newsagent and publisher of a popular penny guide to Stirling. The partnership did not last long, and Mackay branched out as a publisher. Needing bigger premises, he replaced the shop with a four bay three storey tenement, and diversified into book selling, book lending and travel agency work. The publishing house of Eneas Mackay became an institution within Stirling, and was known world -wide for the quality of its books. 41 – 44 Murray Place was the centre of the operation, but he also ran a little art gallery on the opposite side of the road, beside the North Church. 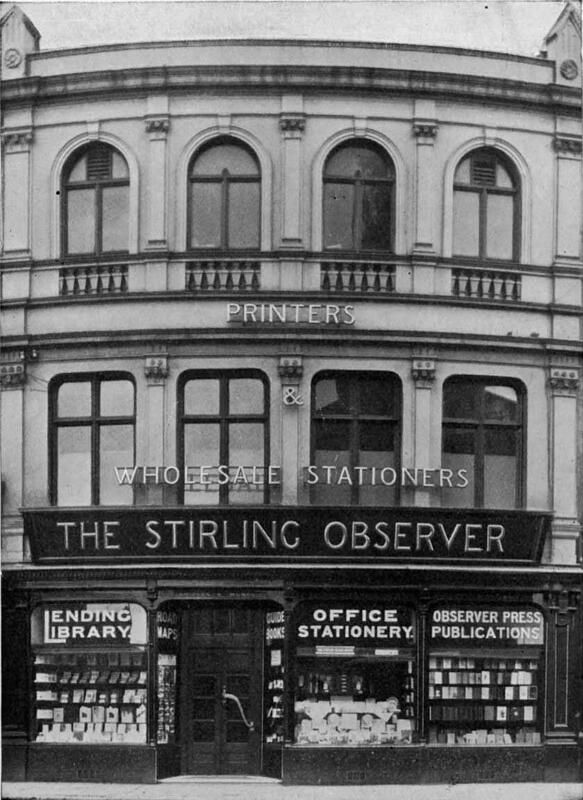 After Mackay’s death, the Stirling Observer, with whom Mackay had worked closely, bought the building as a branch office and even continued the lending library side of the work. His son continued in publishing until he died in 1943, and the Stirling Observer retained the Mackay name until 1955. Highland Ponies and some emisences of Highlandmen by John M Macdonald was published by Eneas McKay in 1937. Invaluable book for a Highland Pony breeder such as me. Lucky to have a copy.